We are looking for awesome, up-beat individuals to join our team! Citywide Restoration is an IICRC Certified full service damage restoration firm located in the heart of Cypress, TX. We specialize in fire and water damage remediation, along with textile, tile and air duct cleaning for residential and commercial customers. With an expanding company, we are looking to add creative and self-motivated members to our team. Our motto is to provide our clients with “Quality, Integrity and Experience” and we expect our team members to follow and uphold that same motto. Assistant Cleaning & Restoration Technicians are mainly responsible for the selling and cleaning of various Citywide Restoration cleaning services, such as but not limited to the cleaning of carpet, tile, upholstery, area rugs, etc. of a home or business. This position will also be responsible for assisting the restoration and administrative departments when needed. We are looking for experienced or entry-level technicians. This is a part-time position with the potential to become a full-time position after a 90 probationary period. This is an hourly position with the expectation of frequently working weekends or evenings for emergency services and overtime possibility on a regular basis. 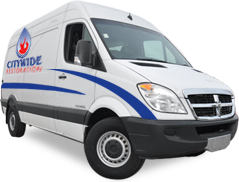 Assist in the preliminary and subsequent checks of company vehicles and mounts, along with keeping track of inventory and daily restocking of equipment, chemicals and accessories. Maintain a clean area (ie: truck, trailer, warehouse, etc.) at all times. Maintain accurate records, files, checklists, inventory logs, daily time and commission logs, and other related paperwork. Maintain valid U.S. driver’s license and motor vehicle record for use of company vehicle. Provide quality carpet cleaning and related services by performing all duties necessary to clean floor coverings, upholstery, area rugs, etc. in accordance with Citywide Restoration standards and IICRC regulations. Measure and give estimates for services requested by clients, along with selling and giving detailed information about additional services. Perform duties necessary to restore a structure in accordance with Citywide Restoration standards and IICRC S500 regulations. Assist Project Managers with various duties required to either mitigate or rebuild a structure. Assist Project Managers with the set up, monitor progress, and tearing-down of drying equipment when necessary. Assist the Reconstruction, Administrative and Marketing departments, as needed. Follow all company and state safety guidelines, along with proper knowledge and use of all PPE. Maintain IICRC Certifications, or be willing to obtain certifications in CCT, RCT, UFT, WRT & ASD. Ability to perform hard work under pressure and in a fast-paced work environment. Perform physical activities, such as frequent lifting, carrying heavy equipment (possibly over 75 LBS), bending, kneeling, etc., while following all safety expectations and processes. Have a flexible schedule and be willing to work long hours. Be self motivated and have good problem solving skills. Have the desire to obtain additional training. • **IICRC Certifications in CCT, RCT, UFT, and WRT. Must be at least 18 years of age and have a reliable source of transportation to and from work. Must have a High School Diploma, Equivalent, or a minimum of 3 years experience in related field. Must be punctual; be willing and able to respond to after-hours emergency calls as needed. Must have a working cell phone. Applicants must have a valid U.S. driver’s license with a clean motor vehicle record (MVR). Applicants must submit to a background check. Citywide Restoration in an equal opportunity employer that follows the guidelines put forth by the EEOC. U.S. Military Personnel and Veterans are appreciated and welcomed!